When your father commits suicide before you're two and you end up in foster care before you graduate high school your internal messages aren't necessarily in line with what the bible says about you and how much God loves you. Mix in a young authentic conversion and connection in relationship with Christ and you have a recipe for Shawneda. Anyone who knows a little bit about me is aware hopefully aware of how much I love God. Those who try to get to know me better eventually find that while I adore him I'm working on being able to express my love for people. My desire to love those who I have a burning compassion and empathy to touch and reach is so great at times it scares me. The ability to make the difference in the lives of women who have been through similar hurts is something God has called me to do. 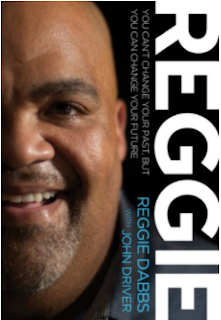 Reading Reggie helped me understand the importance of being honest with myself and God about all of the pain from my past. I don't have to allow my disappointment in how the relationships most intimate and dear to most people did not work out the way I would have preferred to stop me from allowing other people into my heart if that is where God wants them. It's funny to me how ever since my freshman year at Spelman people have told me I acted like someone's mom to the point my nickname was Mama ShayShay (stop snickering :). I just knew I wanted to protect the girls from the dangers lurking in the shadows of the neighborhood they only saw as shiny and new. I have to choose to no longer allow people who remind me of those who disappointed and hurt me in my past to close my heart to the people God has given me an abundance of love and compassion for women (and some men) like me. My choice and my choice alone will impact whether I choose to change my future or give in to the fear of being hurt again and continue to mentally repeat my past. Reggie's book reminded me of so many nuggets of truth instilled in me by my foster parents (my Dad in particular) and moments of life giving truth the Holy Spirit has whispered in my heart over the years. I'm called by God not by men. Where I'm from does not decide where I'm going. God is using all things for my good for His purpose for my life. Most important being I can't change my past, but every time I believe what He told me I can do and I do it, I choose to change my future.